Join Bike About Tours on the final day of the Tour de France, as we ride the historic route through Paris, down the Champs Elysées- and all the way to the finish-line! 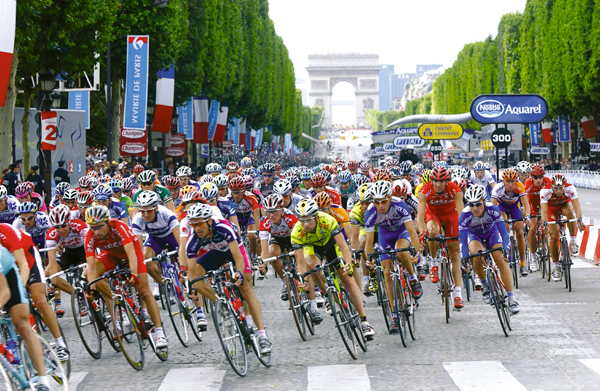 Be there early, before the race comes into Paris & experience the excitement of 'The Tour'. Our guides will give you great info & anecdotes about the Tour de France & an amazing view of Paris before the city wakes up. We'll ride from our office in the centre of Paris to join the route of the Tour de France. 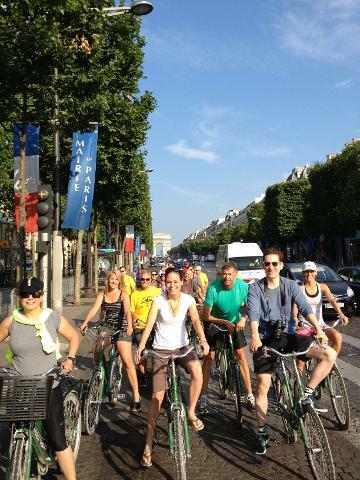 The ride will take you through the heart of Paris, along the Seine, around the Louvre and down the Champs Elysées. Ride the cobbled streets where the legends have ridden for the past 101 years on the Tour! Our guides will also give you tips on the best place to see the finish in the afternoon.